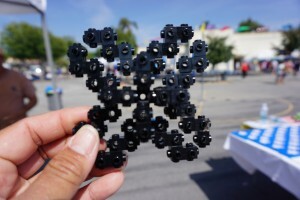 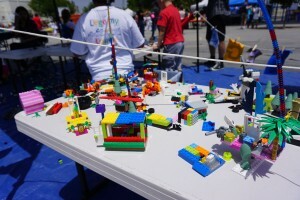 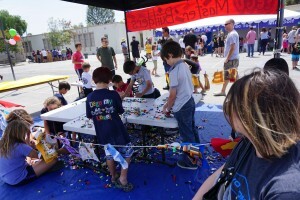 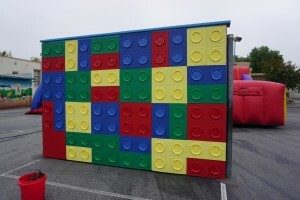 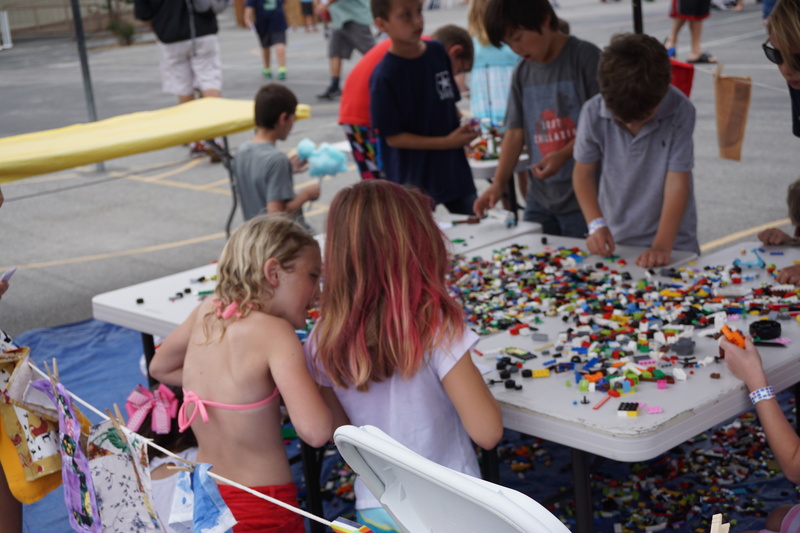 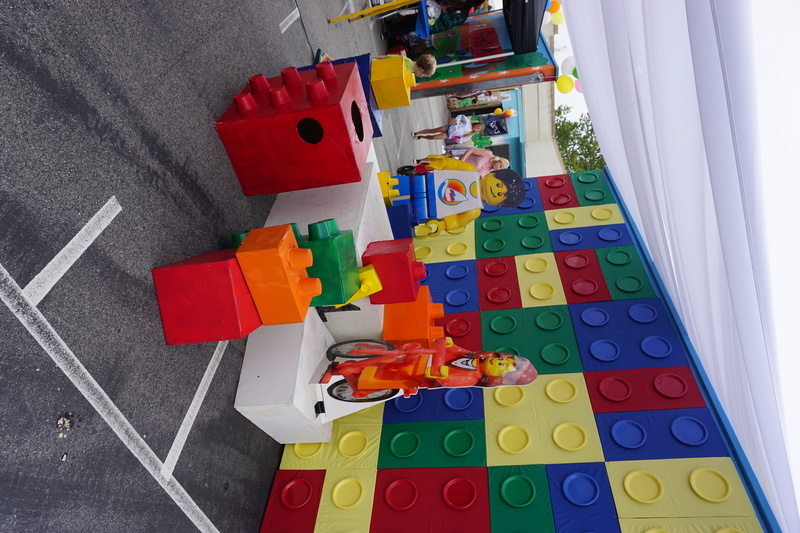 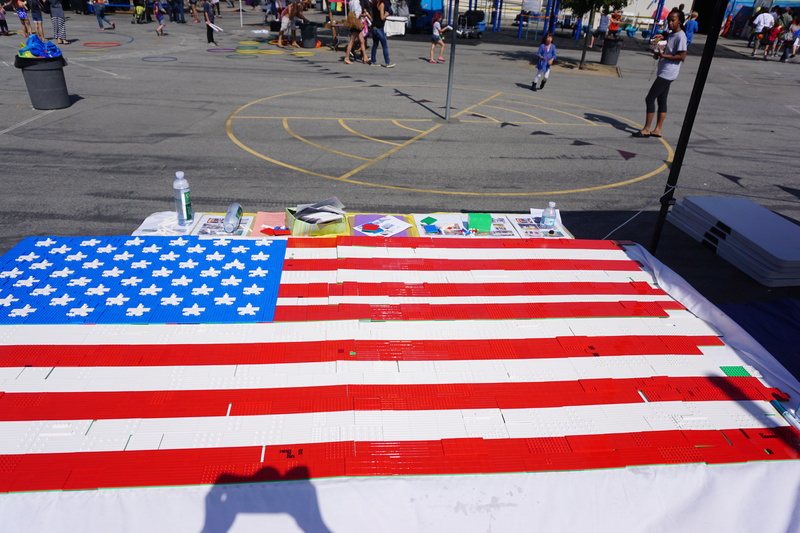 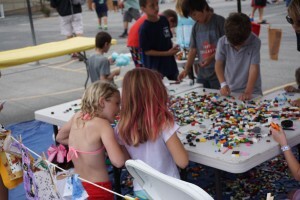 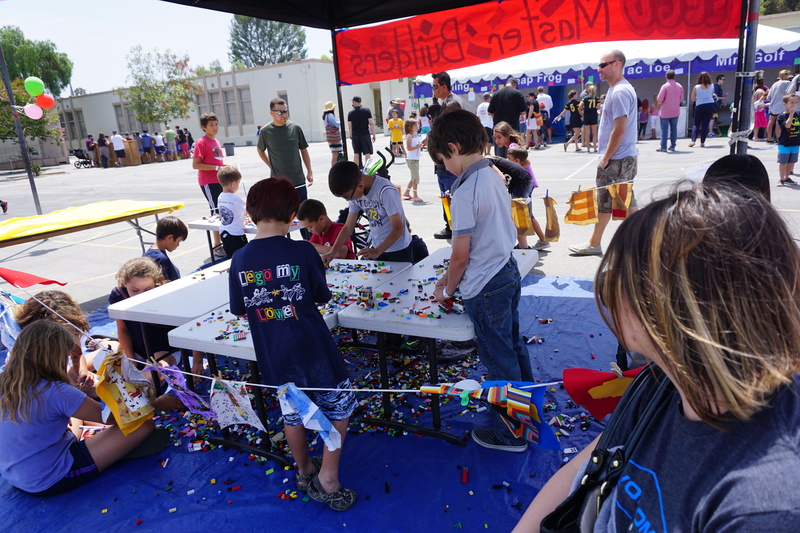 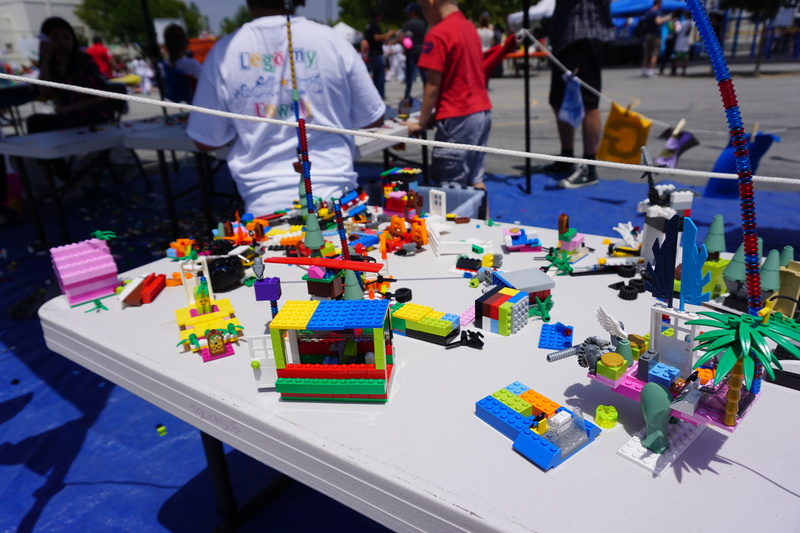 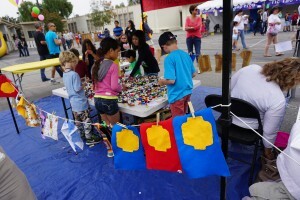 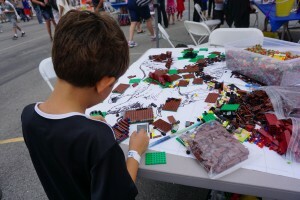 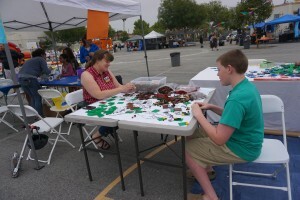 The Brick Quilt resurfaced at Lowell Elementary School’s LEGO(r) my Lowell carnival. The block of this year is the Eagle drawn by artist Don Schmidt. 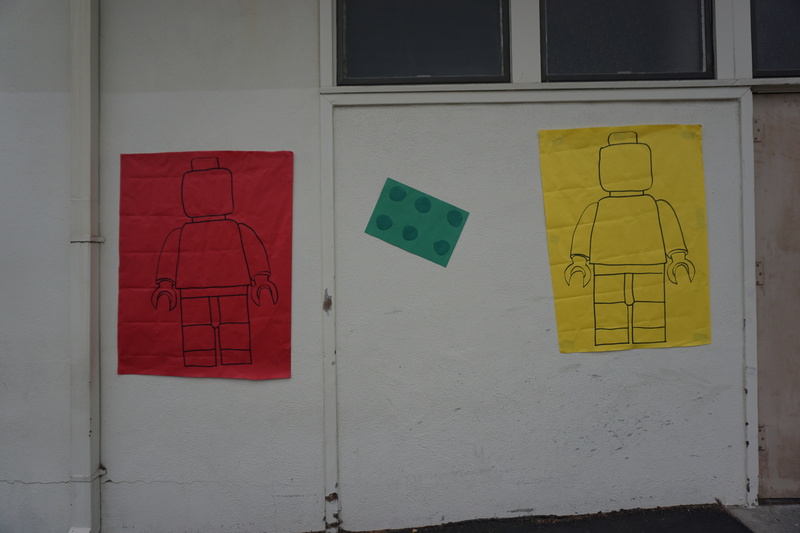 There are no instructions, just bricks, picked from the pick-a-brick wall in brown/red tones, black, yellow, white and random colors.